Indian shoppers seem to be breaking away from “touch and feel’’ and word-of-mouth in favour of visual experience and expert reviews. A case in point is car purchase. Some 90 per cent of car sales that happened in India in 2018 were digitally driven, up from 74 per cent in 2016, says a recent study. The annual study titled: The Drive to Decide 2018, prepared jointly by Google and Kantar TNS tracked consumers’ car research and purchase journey and found that video (80 per cent), search (90 per cent) and brand/dealer websites (56 per cent) were the key digital touch points that played a crucial role in influencing a car-buyer’s decision. Buyers researching online are increasingly more certain about the brand they want to purchase, with instances of brands switching declining by four percent in the last two years--from 11 per cent in 2016 to 7 per cent in 2018. 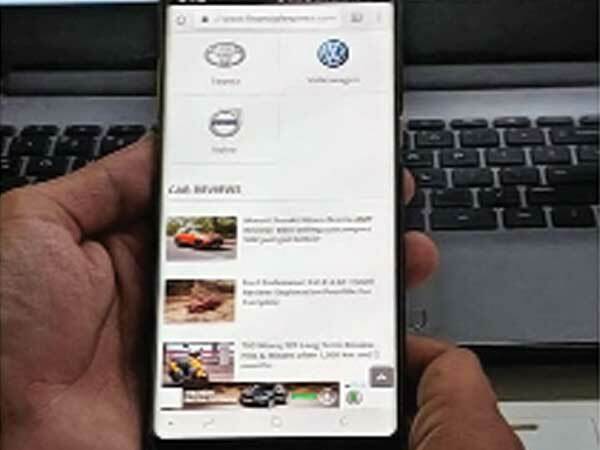 The research found that, with India becoming a video-first country, online video plays a significant role in the purchase journey of an automobile shopper. Over the last two years, the percentage of online video usage by consumers has nearly doubled from 43 per cent in 2016 to 80 per cent in 2018. The study highlights that videos not only act as a platform for discovery but also as ‘buyers’ consulting zone' that allows them to explore the car from different perspectives and get actionable insights. Some 87 per cent of those who watched online videos, either visited the dealership (52 per cent), scheduled a test drive (45 per cent), requested a price quote (40 per cent) or further researched finance and lease offers (27 per cent). As digital becomes the primary touch point for prospective buyers, automobile brands and dealerships have heightened their online presence to be a part of the consumer’s car-purchasing journey. According to the report, 60 per cent of buyers searched for dealerships online and 56 per cent of users visited dealer websites as a part of their purchase cycle. Apart from searching for vehicle pricing, users typically looked for maintenance programmes (41 per cent), promotional offers (37 per cent), locations and directions to dealerships (35 per cent), and reviews and recommendations (32 per cent). Over 4,000 car buyers across the country were interviewed via online or face-to-face for 30 minutes each for the study.